I have to ask. I have 2 icons on my I Phone. One open as Geocaching.com and open to my profile page. The other opens to Find Nearby Geocaches. 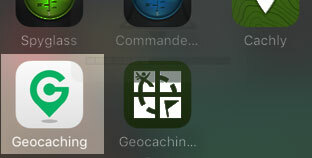 I assume the Finding Nearby Geocaches is the app and if that is correct how do I get an icon for my profile page on the i phone? iPhone Apps will tend to not close when you open another App, and they remain at the most recent page. So either App may open to the last screen viewed. Using Safari on iPhone, it's easy to set any web page as its own icon. If you did that and don't want that icon, delete it. It looks like I have the Classic app. The second site I am interested in is my profile. If the Classic is no longer available I have to find a different way to set up my friends Phone. If I load the new app is there a way to get the profile page to display on the phone? 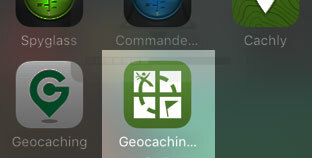 If I remember correctly, the one that opens to geocaches is the app. The one that opens to your profile is the webpage. From now on whenever you have a question, look HERE first, rather than posting the same thing a million times. This is at least rhe third time you asked this. Rather than just posting a link some explanation as to how you found my past post would have been helpful. I realized I had asked this before. That is the reason d=for the title. I am a significant poster, 6500+, on another forum that has a very poor search function and we advise members to use Google to search within the forum as the results are much better than the forum search function. Rather than just posting a link some explanation as to how you found my past post would have been helpful. A click on your name opens your profile which contains the link "See the forum posts for this user."